Prime Minister and President of the Fiji Rugby Union Voreqe Bainimarama says he was so disappointed to hear that players on our sevens team have become the victims of online hatred and bullying, with keyboard warriors levelling personal attacks on social media. Bainimarama highlighted this at the Fiji Rugby Union Awards night at the Grand Pacific Hotel, Suva. He says fans should never be blinded by their passion for the game. Bainimarama says one must also never forget that for these players, this is more than just a game but is also their passion, and their profession. He says they have loved ones who inspire them to pour their heart and soul into every match. The Prime Minister says rugby has always been a uniter in Fiji, not a divider as it uplifts us in good times and in bad, and it gives us a reason to gather with our families and friends. He says it gives us an escape from the stress and the drama of everyday life. Bainimarama says FRU’s off‑the‑field achievements includes their successful inclusion to the World Rugby Council after more than a century in the game. He adds that appointment to the World Rugby Council came after years of hard work and this dream has become a reality in just three years. Bainimarama adds that FRU’s newfound representation at the World Rugby Council will provide them with great insight, and give Fiji a voice at this forum for the first time. 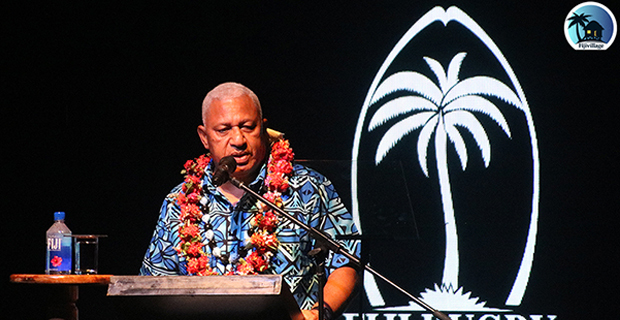 Bainimarama says Fiji Airways Fijiana team gained great experience and success in their Australian tour. He says that he is also extremely proud to see the growth of women’s rugby provincially, with 24 provinces and about 800 players now participating in the women’s competition. Bainimarama says this wide‑spanning transformation has not been easy because with every bold change, comes stubborn opposition.